Please create a new section on this talkpage to provide more detailed feedback on the section recommendations for individual articles. 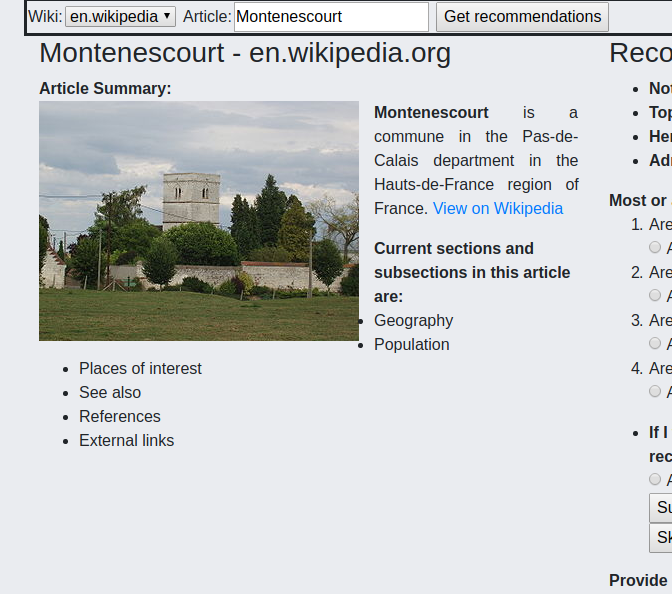 You can use this template to track the individual article, language and recommended sections. Please post your feedback on specific recommendations here. Copy/paste the recommendation feedback template from the web tool here so that we can interpret your feedback. If you have questions about the project, or feedback on the design of the rating tool, please add that here. This page was last edited on 4 April 2019, at 11:58.